\nall get the same temps on air? \noO-( )-Oo Virus detected, delete Windoze? (Y/n). \n all get the same temps on air? \nin terms of the degreesC/W. \ncomputer case has a big enough fan on the back (to keep it at 35C). \nThat\'s cooled by a Noctua NH-D15 (with the center fan fitted). \ndown the setting. That\'s the power feeding into VCore (ATX12V). \nSo my conditions aren\'t even close to a match for yours. \nbefore I bought the motherboard :-( Mistake. \nto give some idea what hops up first. \n on the newer processors. \n3) It would take a generous, gushing layer of AS5 to insulate. \n the side, and look for the color of the AS5 wetting the junction. \n That\'s just a waste. \r\n\r\nI have my 6700k at 4.5, I just use the xtu and tweak the memory timing and multiplier. When I run adobe media encoder or matlab sim, both keep the CPU at 95-100%, for couple hours at the time, my CPU temp doesn\'t go over 70.. and voltage is around 1.21-1.29 ish.... I have an Itx case with 980ti which the gpu generates more heat than anything other components..
\n I have my 6700k at 4.5, I just use the xtu and tweak the memory timing and multiplier. When I run adobe media encoder or matlab sim, both keep the CPU at 95-100%, for couple hours at the time, my CPU temp doesn\'t go over 70.. and voltage is around 1.21-1.29 ish.... I have an Itx case with 980ti which the gpu generates more heat than anything other components..
\n in terms of the degreesC/W. \ndifference if you buy a more expensive heatsink over the cheaper EVO. \n computer case has a big enough fan on the back (to keep it at 35C). \n VCore somehow (too hot). \n That\'s cooled by a Noctua NH-D15 (with the center fan fitted). \n down the setting. That\'s the power feeding into VCore (ATX12V). \n So my conditions aren\'t even close to a match for yours. \n before I bought the motherboard :-( Mistake. \nIntel Burn Test). I don\'t know why you "couldn\'t leave things that way"
\n to give some idea what hops up first. \n material on the newer processors. \ninstead of the goo they now use. \n 3) It would take a generous, gushing layer of AS5 to insulate. \nthe fan, not the other way around,) so I removed it and did it again. \nspread nice and thin all over with very little run-off on the sides. \nfine; the only bench I have that makes LLC climb to 1.360v is Prime95. \noO-( )-Oo Compile, run, curse. Recompile, rerun, recurse. \n difference if you buy a more expensive heatsink over the cheaper EVO. 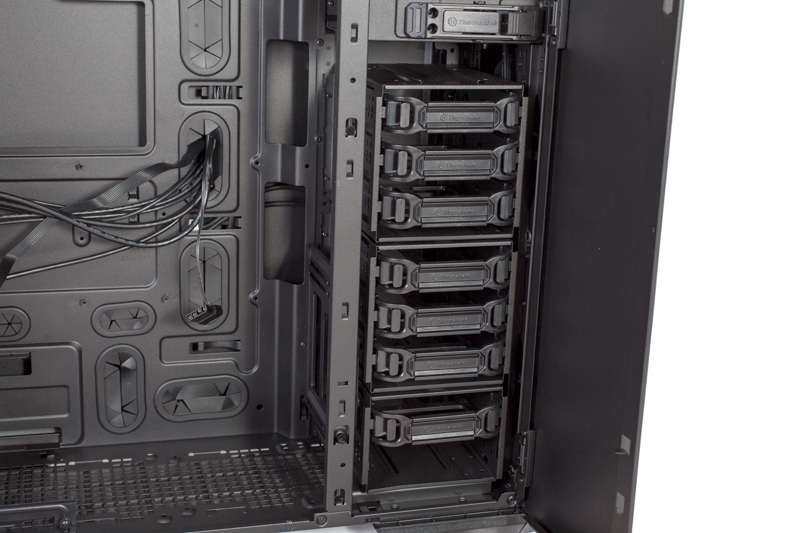 \n (Thermaltake Urban T81 full-tower). \n slower thus less noise. \n running AVX2 in Prime95. \n Intel Burn Test). I don\'t know why you "couldn\'t leave things that way"
\n instead of the goo they now use. \n the fan, not the other way around,) so I removed it and did it again. \n spread nice and thin all over with very little run-off on the sides. \n fine; the only bench I have that makes LLC climb to 1.360v is Prime95. \nalmost as if the cooler is being "overwhelmed". \nHeatpipes have a limited thermal pumping capacity. \nover which it\'s probably not going to pump heat like it should. \nfail, but that hasn\'t been a problem for years and years. \nManufacturers have figured out how to make good heatpipes. \nYou could try a more powerful fan on the cooler. \nThe other issue with these designs, is "no cowling". \nI\'d do a sheet metal cowling, plus fit the 37.5mm thick fan. \nin the time I\'ve worked on computers. \nAir cooling goes asymptotic over about 800LFM (linear feet per minute). \nis a point, where "mo fan" does "no good". \n almost as if the cooler is being "overwhelmed". \n"CPU" slowly slowly slowly rises. \n Heatpipes have a limited thermal pumping capacity. \n over which it\'s probably not going to pump heat like it should. \n fail, but that hasn\'t been a problem for years and years. \n Manufacturers have figured out how to make good heatpipes. \n You could try a more powerful fan on the cooler. \nthat it gets hot under Prime95. \n The other issue with these designs, is "no cowling". \n goes through the fins. \n I\'d do a sheet metal cowling, plus fit the 37.5mm thick fan. \n in the time I\'ve worked on computers. \n Air cooling goes asymptotic over about 800LFM (linear feet per minute). \n is a point, where "mo fan" does "no good". \n "CPU" slowly slowly slowly rises. \n that it gets hot under Prime95. \nThere\'s probably a couple ways the pipe wouldn\'t get hot. \nLikely leaving no choice but to take it apart and verify things. \n177W when a bit more than your voltage is applied. \nand make the thermal footprint larger on the lid surface. \nwould give poor cooler response. 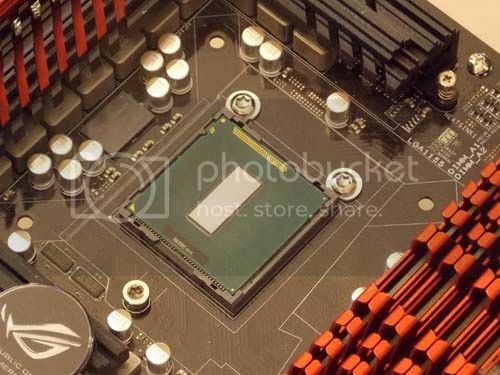 \nthe die, between 3770K and 6700K :-) But who knows. \ntime, that was part of my buying decision (4930K or 5930K). \nam now limited by a gutless VCore. \n for "CPU" slowly slowly slowly rises. \n accept that it gets hot under Prime95. \n There\'s probably a couple ways the pipe wouldn\'t get hot. \n Likely leaving no choice but to take it apart and verify things. \nto Prime95 in normal use. \n177W that guy is burning). \n 177W when a bit more than your voltage is applied. \n and make the thermal footprint larger on the lid surface. \nDeLid is just too much trouble, even if it is extremely efficient. \n would give poor cooler response. \n the die, between 3770K and 6700K :-) But who knows. \nYup, that\'s how it is on my MB as well. \n time, that was part of my buying decision (4930K or 5930K). \n am now limited by a gutless VCore. \noO-( )-Oo If there is no God, who pops up the next kleenex? \nGood day Paul, Hanky Liu, all. \ndays, I will report back. \noO-( )-Oo Is there another word for synonym? \n Good day Paul, Hanky Liu, all. \n days, I will report back. \nthrough that drive tray and rack design ? \ninstead of going through it. \n200mm fan being so close to the metal of the drive racks. \nis not filled in the chassis, we provide a "filler" card. \n through that drive tray and rack design ? \nabout it; too many stupid design choices all over. \n instead of going through it. \n 200mm fan being so close to the metal of the drive racks. \n is not filled in the chassis, we provide a "filler" card. \nput USB drives on top). \nto fix this; I shoulda left well enough alone, it was rock solid before! \noO-( )-Oo Double your drive space! Delete Windoze! \n Linpack)). We\'ll see in a few days, I will report back. \n is that OCCT crashes the first time I run it and start the CPU test. \n well enough alone, it was rock solid before! \nlittle classification in the DSM*." \nchanged by base voltage from 1.300 - 1.310 (and kept LLC @ Level 6). \nsupposed to be for actually, but it doesn\'t work when you overclock. \nLLC @ 7. Getting 4500MHz stable requires a lot more power. \nwill just fall back to 4400MHz. \noO-( )-Oo Soon to be a major motion picture! almost as if the cooler is being "overwhelmed". for "CPU" slowly slowly slowly rises. You could try a more powerful fan on the cooler. accept that it gets hot under Prime95. The other issue with these designs, is "no cowling". I'd do a sheet metal cowling, plus fit the 37.5mm thick fan. in the time I've worked on computers. Air cooling goes asymptotic over about 800LFM (linear feet per minute). is a point, where "mo fan" does "no good". There's probably a couple ways the pipe wouldn't get hot. Likely leaving no choice but to take it apart and verify things. to Prime95 in normal use. 177W that guy is burning). 177W when a bit more than your voltage is applied. and make the thermal footprint larger on the lid surface. 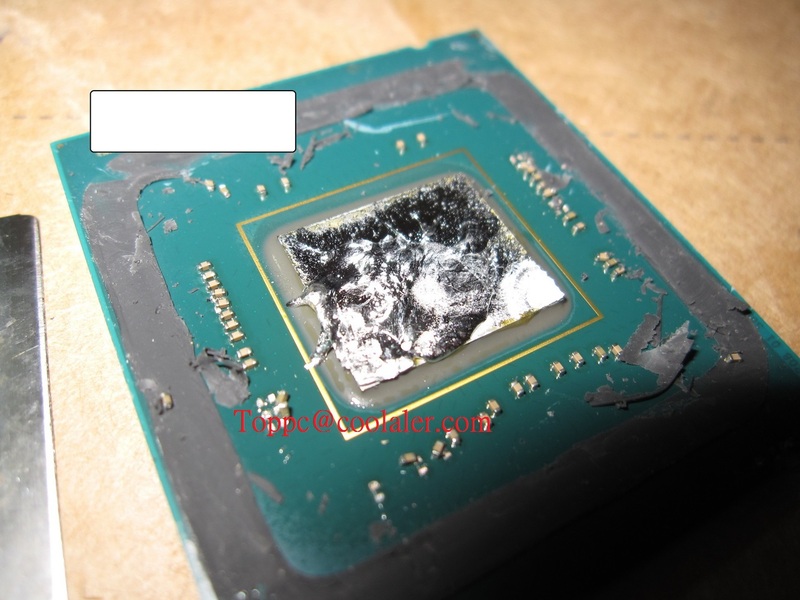 DeLid is just too much trouble, even if it is extremely efficient. would give poor cooler response. the die, between 3770K and 6700K :-) But who knows. Yup, that's how it is on my MB as well. time, that was part of my buying decision (4930K or 5930K). am now limited by a gutless VCore. oO-( )-Oo If there is no God, who pops up the next kleenex?